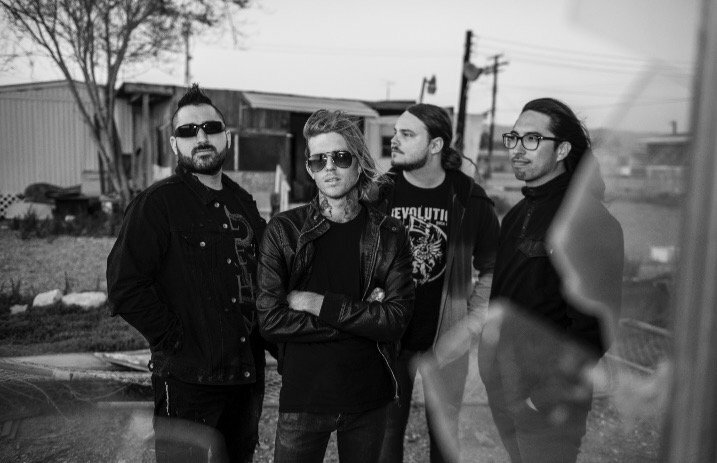 Today (Jan. 19), Of Mice & Men will drop Defy, their first album with Aaron Pauley taking on the role of frontman following former vocalist Austin Carlile’s departure. “For us even being able to make this record was a bit defiant in nature,” he shares. “Having gone through such a major change and losing someone who was integral to our band, I think in a lot of ways it was defiant against people’s expectations and also in a lot of ways our own.” Ahead of its release, we spoke to Pauley about each track on the new album. See what he had to say below. “Defy” is all about defying feelings of hopelessness, and, at the same time, defying that sort of disguised comfort that hopelessness [brings]. I say “comfort” because hopelessness can be comforting in that it gives you a reason to not try, and it gives you a reason to not extend yourself beyond what you think you can do. So in a lot of ways, hopelessness can be a comforting feeling because, you know, if all hope is gone then I don’t have to try. You already feel like you can call the future or feel like you know what’s going to happen, but that song is all about defying that. We were supposed to do a festival called With Full Force festival in Germany, and it was in this giant vintage machinery graveyard kind of museum called Ferropolis. It’s also on a little lake, which I read about was a microclimate, and then a couple hours before we were supposed to play a literal hurricane, like a micro hurricane around the lake, happened. The whole festival got rained out and shut down. So the demo for that song, instrumentally, started that day. [This track is about] using your passions and using the things that you truly love and enjoy as a way of rediscovering yourself after a major change. If you can reignite those passions in a lot of ways, you can always find a way back to yourself. Drove to Bakersfield, [California] to use Jonathan Davis’ from Korn’s studio. He invited us to come up there and just jam out and absorb the vibe from his studio. We set up our stuff in the middle of a room. It’s this old-timey movie theater that used to be Buck Owens’ studio, where they did a lot of the vintage country records. It was just a really cool vibe. That was probably one of the first songs that was written or demoed. It’s a reaffirmation to ourselves, first and foremost, and then to anybody who listens to it. In times when you feel vulnerable, you have to tell yourself that you feel otherwise. Not necessarily because it’s disingenuous to do so, but I think as much as we write music for our fans, we write it for ourselves. [This] song is very much a reaffirmation to ourselves that in times of despair or hopelessness—much like “Defy”—it’s important to remember that you don’t have to let the world break you. Making albums is supposed to be fun, and it’s supposed to be adventurous. I’d never played a sitar before, and there was a guitar lead in “Vertigo” that when I demoed it, was originally a guitar. But I was, like, “Can we try plugging the sitar in and I can try to figure out how to play it on that?” It ended up sounding really awesome. The adventurous nature of making music in a studio that’s got a lot of different instruments bodes well for the creative nature of our band.